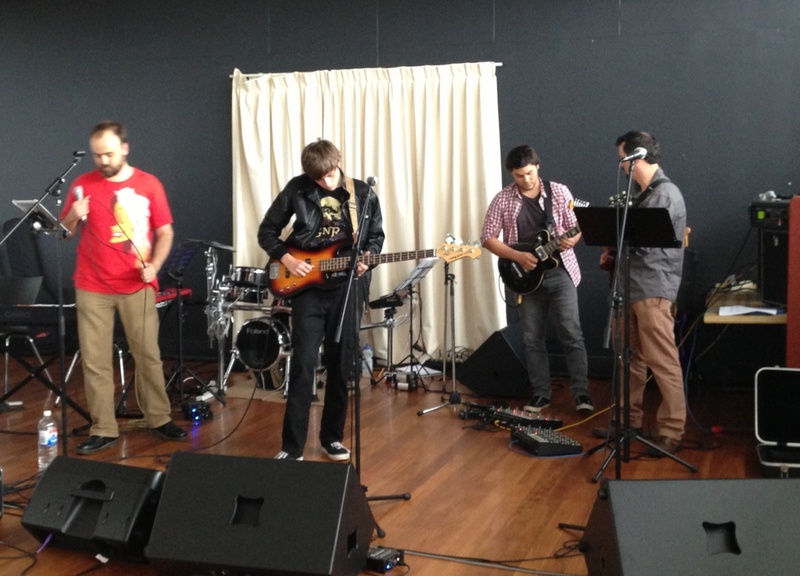 It’s official – the teenager-in-residence has commenced his career as a rock star! Here he is at his first official gig as a bass guitarist complete with leather jacket. Another big fortnight with more visitors and two adult children moving house on the same day. Miss B and her family have become the proud owner of acreage and are looking forward to stocking the place with chickens and, if Miss B gets her wish, a pony. The king of the Britons and his entourage have moved to a more modest landholding but is constructing a ‘man cave’ as we speak. I have sent quite a few hours in my own cave although, alas, most of that was doing a stocktake. Do you know how many bolts of fabric we have? Maybe we should have a guessing competition? Yes – how about a fabric pack to the person who comes closest. Send me an email or come in next week if you’re local and tell me your answer. You have until New Year’s Eve to give your answer and we’ll announce the winner on New Year’s Day – that’s accountants New Year’s Day of course on 1st July.